22 March 1943: Keel laid by the Bethlehem Steel Corp. Hingham, Mass. 28 July 1944: Converted to a Charles Lawrence Class High-speed Transport by the Sullivan Drydock and Repair Corp., of Brooklyn, N.Y.
61k Edward Martin Blessman was born on 29 December 1907 in Nott, North Dakota. He grew up in his hometown of Appleton, Wisconsin. Appointed midshipman from the 9th District of Wisconsin on 21 June 1927 he graduated from the U.S. Naval Academy on 4 June 1931. Service at sea in Maryland (BB 46) and Hale (DD 133) preceded flight training at Naval Air Station, Pensacola, Fla., after which he served in VS-2B in Lexington (CV 2) and VP-17F, based on Thrush (AVP 3). 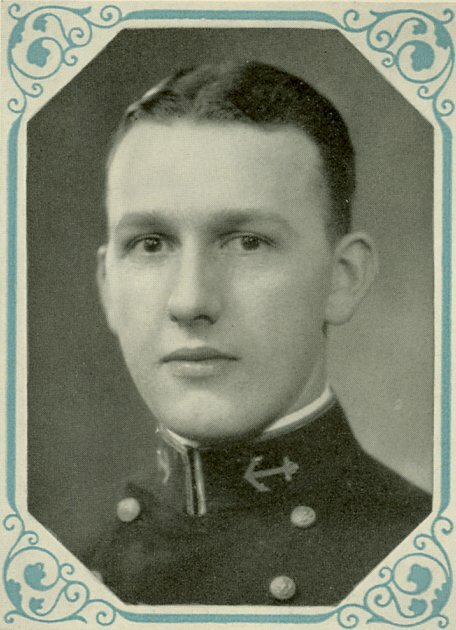 Following a two-year tour at the NAS Anacostia, Blessman was promoted to lieutenant in January 1939. His next assignment was to the USS Marblehead (CL 12) as she joined the U.S. Asiatic Fleet on 10 December 1939. He was still serving with her when Japan launched its onslaught in the Far East in December 1941. 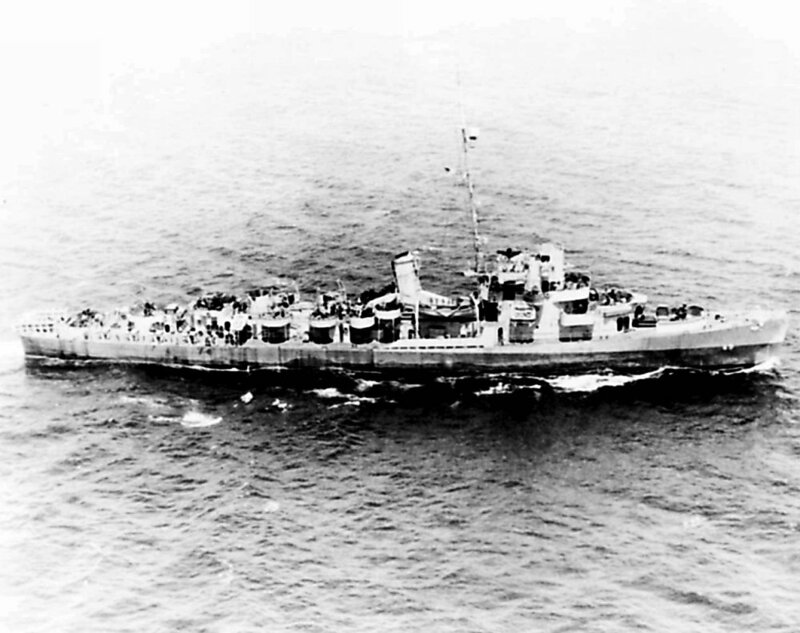 On 4 February 1942, Marblehead stood out of Surabaya, Java, as part of a mixed American-Dutch cruiser-destroyer force under Rear Admiral Karel W. F. M. Doorman, RNN. Japanese Kawanishi H6K5 "Mavis" flying boats from the Toko Kokutai, however, spotted the Allied force as it attempted to transit the Madoera Strait to attack the Japanese Borneo invasion fleet. Thus forewarned, Japanese naval land attack planes bombed the allied force. At 1027, a stick of seven bombs from a Mitsubishi G4M1 "Betty" Bomber straddled Marblehead. The first of the two bombs to hit the ship penetrated the main deck and exploded near the wardroom, the blast ripping through the light sheet metal bulkheads that comprised the boundaries of the compartment. 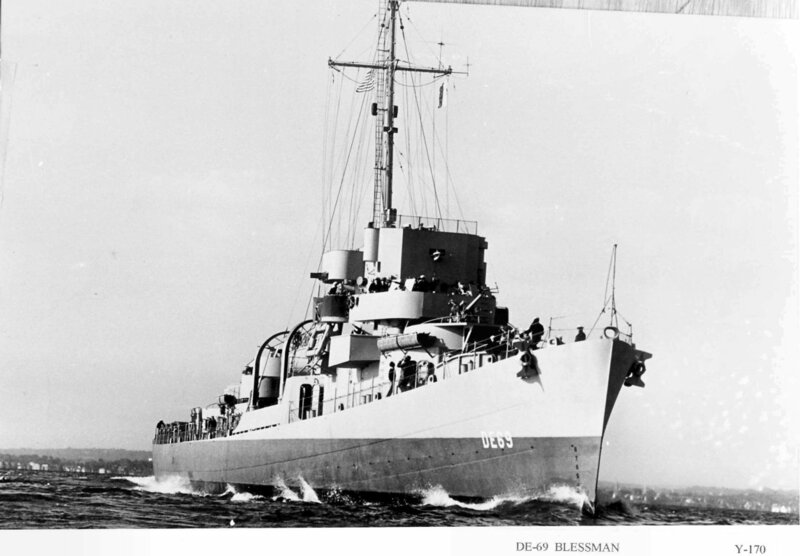 Blessman, who, as the ship’s senior aviator had no air defense station and was in the wardroom at the time, was killed instantly by the concussion. Lieutenant Blessman was posthumously awarded the Purple Heart. His wife Mrs. Helen Malloy Blessman accepted the award on his behalf from a grateful nation. His other awards include the American Defense Service Medal; and World War II Victory Medal. the Naval History and Heritage Command web site.